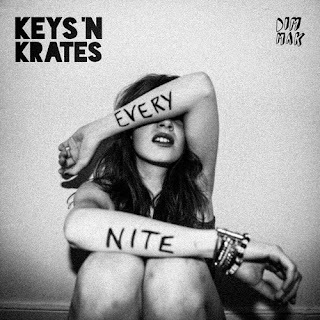 Just when you thought Keys'N Krates had trap all figured out, they went and threw us all a Hip Hop curveball. Led by speaker rattling bass and a very simple sample, the instrumental BEATS! On first listen, you’d think this beat was meant for Ludacris or (fill in Atlanta rapper). After listening to this, I’ve got a theory why trap is now such a growing genre. Hear me out on this one…my thought is that all of us Hip Hop heads that grew up listening to the 808 thunder that Dr Dre brought on every beat needed a new object of our musical affection. With many of the big time Hip Hop producers like Dre, Timbo, Scott Storch, Danja, The Runners no longer continuing to push the creative envelope in Hip Hop, a huge opportunity opened up for other similarly hype genres like EDM to fill the void. I can’t speak for everyone, but a lot of the beats the aforementioned producers cooked up were the reason why I listened. In other words, the instrumentals allowed me to palate the verses that were usually passable at best by even some of the biggest named stars (looking at you 50 cent). Now along comes this new genre with just as much bass and energy, but we don’t have to digest sub-par verses anymore. Now that I think about it, it’s like having your favorite sandwich without have to ask for no onions. It just comes the way you like it without any added nonsense that could take away from its luster. Call me an outlier if you will, but if you’ve been visiting this neighborhood of the Internet over the past few years, hopefully the explanation above helps you understand the rationale of why I shifted what I post toward more EDM/trap music the past year or two.